In a letter, leading activists have urged Chief Justice of India Justice TS Thakur to ensure greater transparency in judicial appointments. “The refusal of Justice Chelameswar to attend meetings of the collegium on the grounds that its functioning lacks transparency to the extent that even some members of the collegium are unaware of the basis on which judicial appointments are made, points to the deep malaise that afflicts the judicial appointment process. His views have been echoed by other legal luminaries, including former CJIs. Such a state of affairs erodes public trust in the institution which billions of Indians look towards to uphold democratic principles and deliver justice,” it states. Making the eligibility criteria and process for selection of judges public. Setting up a broad-based search committee along the lines of the search committee envisaged in the Lokpal & Lokayuktas Act, 2013, to assist the collegium in shortlisting appropriate candidates. The search committee could predominantly consist of judicial members. The committee should issue an advertisement inviting eligible people to apply and should also have the freedom to employ other methods they deem appropriate to search out potential candidates. Making names of shortlisted candidates public, along with all available details, including details of how they satisfy the eligibility criteria, why they were selected over those who were not, and their background details such as asset declarations etc., at least eight weeks before the collegium meets to finalise the appointment of judges. This would afford people an opportunity to send in relevant information or objections to the proposed appointments. Putting in place an appropriate procedure to maintain minutes of all meetings of the collegium. The minutes must record reasons for decisions taken and dissenting opinions, if any. After the appointments have been made, the minutes of the meetings of the collegium should be made public in compliance with sections 4(1)(c) and 4(1)(d) of the RTI Act. The signatories include Anjali Bhardwaj, co-convener, National Campaign for People’s Right to Information; Shekhar Singh, RTI activist; Aruna Roy, RTI activist; Nikhil Dey, co-convener, National Campaign for People’s Right to Information; & MKSS Wajahat Habibullah, former Chief Information Commissioner, Central Information Commission; Satyanand Mishra, former Chief Information Commissioner, Central Information Commission; Shailesh Gandhi, former Information Commissioner, Central Information Commission; Prashant Bhushan, convener, Campaign for Judicial Accountability and Reforms; Harsh Mander, director, Centre for Equity Studies, and Maja Daruwala, director, Commonwealth Human Rights Initiative. 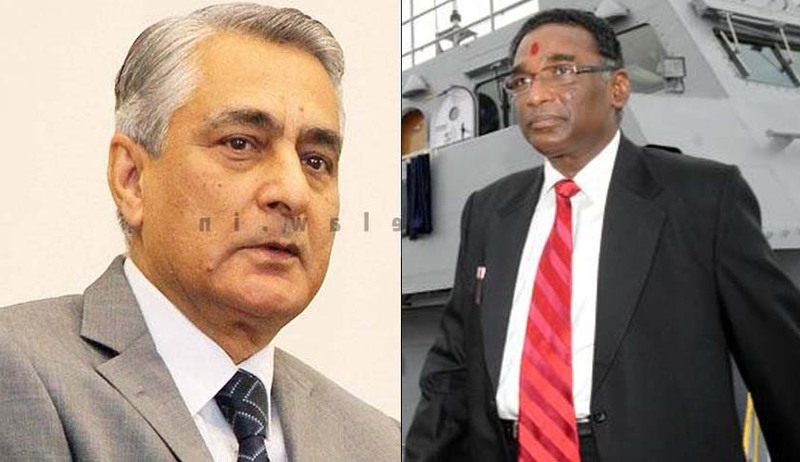 Earlier this week, former CIC Shailesh Gandhi, in an open letter to the CJI, had urged him to recognise Justice Chelameswar’s signal contribution to the Indian democracy and to take the opportunity to bring transparency to the judiciary and accept that mistakes may be made in all fields.